John Pollock and Wai Ting review WWE Raw After WrestleMania 35 from the Barclays Center in Brooklyn, New York. Coming off WrestleMania 35, Raw saw an unadvertised appearance by The Undertaker to interrupt Elias, a Title vs. 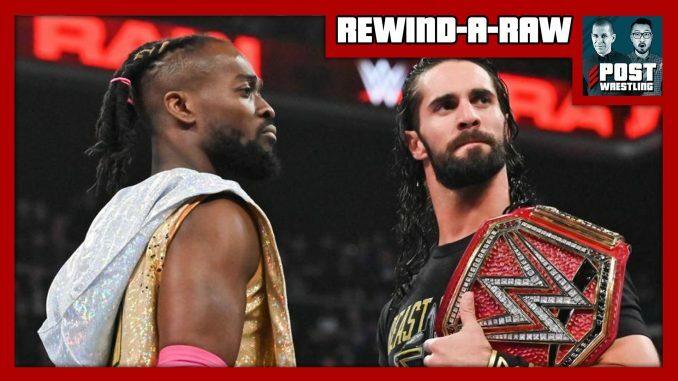 Title bait-and-switch match involving Seth Rollins and Kofi Kingston, the return of Sami Zayn with a new direction, the main roster debut of Lars Sullivan, a tease of Becky Lynch’s next program, and all of the fallout from the night prior.